Our systems are lightweight and virtually maintenance free. Unlike ‘true’ Cast Iron systems where trained personnel and suitable handling equipment is required. Traditional Cast Iron may rust and will require regular inspection and routine painting. Foundry Finish eliminates both! The Foundry Finish coating has been scientifically formulated to exceed the demands of typical urban and industrial atmospheres providing additional protection against colour fade. 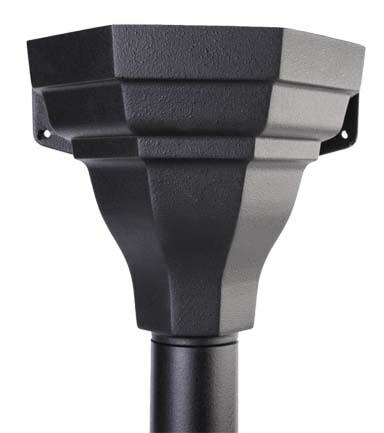 PVC Gutters will never corrode so Foundry Finish offers a paint free installation. A comprehensive yet compact range making your job easy to price up, with less products to carry. Allowing you to buy and install with confidence.